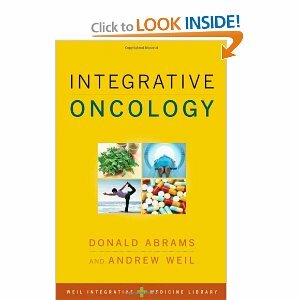 Dr. Andrew Weil and Donald I. Abrams, M.D., the former director of Clinical Programs at the University of California, San Francisco Osher Center for Integrative Medicine, assembled a team of experts to assess what the emerging field of integrative oncology has to offer cancer patients. Integrative Oncology is the first in a planned series on integrative medicine’s role in various medical specialties. Here, Dr. Abrams talks about his practice of integrative oncology and how integrative medicine can enhance cancer treatment. What role does integrative medicine (IM) play in cancer treatment? The field of oncology (cancer treatment) is fairly new but has exploded in recent years and has become more and more specialized. This increasing specialization benefits patients in that they get care from physicians who are experts in their specific disease, but in the process, the specialist may tend to see only the tumor and not the patient. Integrative oncology looks at the whole patient, body, mind and spirit. I tell my patients that I think of cancer as a weed. Modern western oncology is focused on destroying the weed while integrative oncology concentrates on the soil the weed grows in and on making the soil as inhospitable as possible to the growth and spread of the weed. A specialized branch of integrative medicine is naturopathic medicine. According to Paul Herscu ND, and Amy Rothenberg ND:”Naturopathic medicine is a distinct system of family medicine that skillfully combines ancient therapeutic traditions with modern science to restore health. Naturopathic doctors (NDs) use a variety of therapies to restore and maintain the health of their patients including clinical nutrition, botanical medicine, homeopathic medicine, physical medicine, and lifestyle recommendations.” You can read more about naturopathic principles and educational requirements here. It is a good idea for a woman with DCIS to find an integrative or naturopathic doctor to supervise whatever she chooses for recurrence prevention. If no one you know can personally recommend a good integrative doctor, you can start your search at this site.